Always being an entrepreneur Tiffani fell in love with Real Estate and Design and joined the industry in 2000. Starting an investment business with her main focus being buying distressed properties, doing renovation and reselling. Her business quickly grew to managing multiple investors at over $50 million vested. Purchasing over 400 homes alone in 2007. 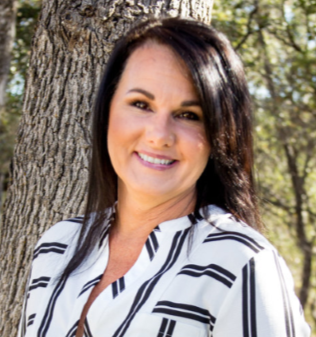 With an ever changing real estate market and her love of change she shifted from sales to lending in 2018. In an effort to fully expand her expertise in the field of real estate making her transition into lending and loans seemed to be the perfect fit. Tiffani treats each client with the upmost professionalism and customer service, but ultimately prides herself in the continual friendship and relationships she is able to make and keep. She takes the most pride in her family and the incredible business relationships she has created throughout her career. Thank you so much for being so knowledge about many loan programs and giving me updates on current market trends! Your knowledge helps me and my clients a lot. And you are always on top of every case in timely manner, meet with clients personally and make sure they fit to the loan program that they feel comfortable in the long term. Tiffani is reliable and professional when it comes to business. She is a great asset to have on your team because of her vast knowledge of the industry… from the loan side to the Real Estate side. She has always come through for me when I have a question and that is what I love about Tiffani. She is eager to help you. Tiffani is absolutely amazing! She is knowledgeable, helpful and friendly. I love working with her and look forward to our future deals together.